Road sweet Road... The Penguins dug in late in the game to hold off the charging Bears and keep their road record perfect. The game remained a stalemate for the 1st 2 periods until the Pens blew it open to start the 3rd, but as usual Hershey would not go down without a fight and the remaining crowd at Giant Center was in for quite a finish. The first period was a lot of good defense and feeling each other out, as both teams combined for only 9 shots. Wilkes Barre-Scranton managed just 3 of those 9, but Brett Sterling made his count. Sterling buried his 5th of the season with assists from Walker and Vitale after he was able to blast his own rebound past goaltender Semyon Varlamov and gave his team the 1-0 intermission lead. Curiously, there was not a single penalty called in the 1st period either, so it really didn't look much at all like the normal Pens-Bears routine. The second would be somewhat similar except with an increase in shots and opportunities. Both Varlamov and Curry were on the top of their games, with the only goal of the period coming when Lawrence Nycholat took a powerplay slapshot to tie the game up at 1-1. But it still seemed like the game was missing a certain "back and forth" element, and the teams would compensate for that in the final 20 minutes of play. The Pens wasted little time staking their claim to the critical 2 division points once the horn went off to start the 3rd. Brett Sterling was able to gain control of the puck right behind the Hershey net and send it out to a waiting Kevin Veilleux. Veilleux went freestyle after that and eventually the puck ended up in the back of the net with Varlamov sprawled out on the other side like a doormat. It certainly wasn't the type of move one would expect from a guy scoring his first goal of the season, but that kind of stick-handling is nothing new for Mr Veilleux. It wasn't just Kevin picking up his 1st of the season, though, and Brian Strait picked up his on a long wrist shot through traffic. 2 goal leads can sometimes be the hardest to defend, and it would take quite the effort by WBS to hold off Hershey's charge. Hershey absolutely put on a powerplay clinic throughout the game, and it was the driving force behind their comeback. Andrew Gordon flipped one past the glove of Curry just 8 seconds after Chris Collins was whistled for interference, and Hershey was suddenly right back in it. Dustin Jeffrey would then give the Pens that all important multi-goal advantage again with less than 6 minutes to go, and it seemed like a lock for the Pens to hold on for the win. But nothing is a lock in Hershey, and the Bears got yet another powerplay goal from Gordon to cut the deficit back down to 1. WBS was able to effectively kill the next few minutes of the game and then hung on for dear life once Varlamov headed to the bench for the extra attacker. Believe it. WBS is now 4-0 against their cross-state rivals. Even more important that that, they have gotten 8 points in those games compared to Hershey's 1. I'm still calling it to be a 2 horse race between those 2 but for now there are several other division opponents very much in the mix as well. 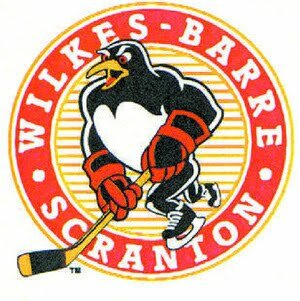 One of those opponents is the Binghamton Senators, and the Pens get a shot at reconciling for their blowout loss last weekend when the Sens travel to Mohegan Sun Arena tomorrow afternoon.